PBS Director/Producer Mario Troncoso covers creative process from start to stage, and in that process an even bigger story emerges, beautifully captured by Troncoso -- the undeniable potential of collaborative art to heal communities. 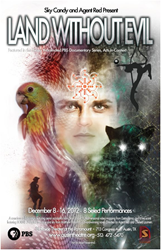 This Saturday, November 9, 2013, the Lone Star EMMY Awards will announce the winner of the Best Cultural Documentary in the PBS Award-Winning Series "Arts In Context," and the winner could be Austin Sky Candy's multi-media aerial musical "Land Without Evil." Austin Circus Arts School Sky Candy, Interactive Visionary Agent Red and award-winning author Matthew Pallamary teamed up in 2012 to do the impossible: adapt a full-length historical novel into a multimedia aerial musical with a cast of 30 and over 60 total collaborators in less than 12 weeks. 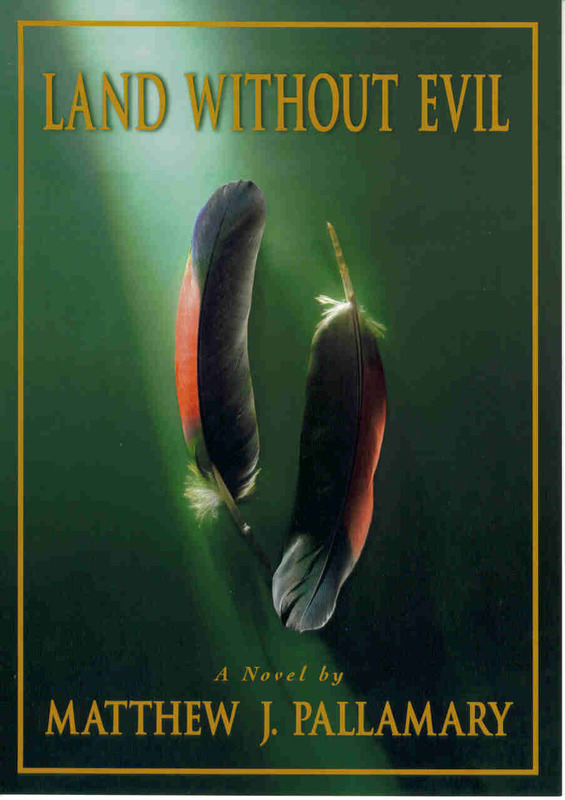 The "Land Without Evil" musical is based upon true events featured in the Award-Winning novel by Matthew J. Pallamary. It is a story of transformation and self-discovery set in the historical context of the Guarani people during the introduction of Jesuit missions in South America. The multi-media aerialist musical, called “A visual feast!” by the Houston Chronicle, explores a native boy’s conflict between the spiritual beliefs of the mission and the visions of his father, the shaman, on their tribe’s perilous journey through the rainforest in a quest for the mythical Land Without Evil. Director/Producer Mario Troncoso and his PBS Program, “Arts in Context,” covered the process from start to stage, and in that process an even bigger story emerged, beautifully captured by Troncoso -- the undeniable potential of collaborative art to heal communities. The stories, characters, and themes are closely examined, rehearsed, and put into virtual practice by the cast and crew. In the process of deconstructing the novel, rearranging it for a stage presentation, and co-creating it over those weeks, the collaborators’ lives were also transformed. Troncoso’s expert documentary direction seamlessly weaves the stories of the main collaborators and their relationship to the process of the show. In the unfolding process, contributors reeling from physical and sexual trauma, professional disillusionment and family struggles, transform before our eyes. Underneath it all is undeniable synergy, proving that when a group of people come together with a common goal, anything is possible. As the cast and crew moved forward in the weeks leading up to opening night, the rehearsals and meetings become more ceremonial, mirroring the dynamics of the tribe portrayed in the show with reverence, while allowing each collaborator to participate in finding their own unique and individual Land Without Evil. The “Arts in Context” coverage ends when the curtain rises on opening night, leaving the mystery of the aerial, musical, and visual magic this ragtag team created through talent, collaboration, and persistence for their wowed audiences. The "Land Without Evil" show experienced standing ovations, rave reviews, and sold-out performances during an eight-performance run at Austin's legendary Stateside Theatre. The production is working to recreate the show live in other cities, and the novel has been adapted into a feature film script that is currently in the early stages of development. Photos and videos of the Austin production can be seen at http://www.LandWithoutEvil.com. Sky Candy is the winner of the 2012 “Best Circus Arts Revivalists” Award. Visit http://www.skycandyaustin.com for information on classes and upcoming shows. Agent Red, http://www.agentred.net, recently premiered a new transformative show through Austin collective Crash Alchemy. To see the Lone Star Emmy nominated Sky Candy "Land Without Evil" episode of Arts in Context, click here. Based in Santa Barbara, "Innovative Creative Content: What Makes You Different Connects Us All" is a Content Marketing Firm focusing on successful client branding and global marketing through targeted content and storytelling campaigns. For more information, visit their website at http://www.innovativecreative.co or contact them directly at email (at) innovativecreative (dot) co.
Land Without Evil Book Cover Chelsea Laumen as "The Parrot"